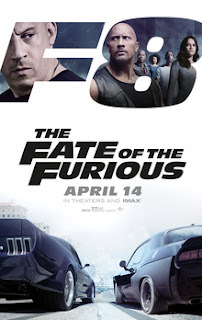 Dominic "Dom" Toretto and Letty Ortiz are on their honeymoon in Havana when Dom is challenged to a street race at an auto show by local racer Raldo. Dom races for Raldo's car, intending to give it to his cousin Fernando, while wagering his own show car. After narrowly winning the race, Dom allows Raldo to keep his car, earning his respect, and instead leaves his cousin with his show car. The next day, Dom is approached by elusive cyberterrorist Cipher, who coerces him into working for her. Shortly after the encounter, Dom and his team, comprising Letty, Roman Pearce, Tej Parker, and Ramsey, are recruited by Diplomatic Security Service (DSS) agent Luke Hobbs to help him retrieve an EMP device from a military outpost in Berlin. During the getaway, Dom goes rogue, forcing Hobbs off the road and stealing the device for Cipher. Hobbs is arrested and locked up in the same high-security prison he helped imprison Deckard Shaw in. After escaping, both are recruited by intelligence operative Frank Petty/Mr. Nobody and his protégé, Eric Reisner/Little Nobody, to help the team find Dom and capture Cipher. Deckard reveals that Cipher was the mastermind of previous encounters with the team, such as employing his brother Owen Shaw to steal the Nightshade device and orchestrating the attempted theft of God's Eye, Ramsey's software program. The team tracks Dom and Cipher to their very location just as they attack the base and steal God's Eye. When Dom begins to question Cipher's motives, she reveals that she has held Dom's ex-lover and DSS agent Elena Neves – as well as their son, whose existence Dom was previously unaware of – hostage in order to keep Dom loyal to her. Elena tells Dom that the child was born as a result of an unintended pregnancy, and that she wanted him to decide the child's first name, having already given him the middle name Marcos. The much anticipated movie after Paul Walker, this time around, not as nail biting nor fist clenching. It has somehow toned down but still as entertaining. Charlize Theron made a great bad guy with all those cornrows but somehow lacked the nerdy, geeky feel of a hacker. Scott Eastwood sure looks like his father, Clint, and was as good an actor too. Overall, not too shabby a movie, still as exciting with some elements of surprise.